According to the Sanya Traffic & Transportation Bureau, Sanya has scrapped and updated 406 public transports since 2008, and most of the new buses are environmentally friendly. In recent years, Sanya has strived to set up a new image of public transit and provide a better traffic environment for residents and tourists. 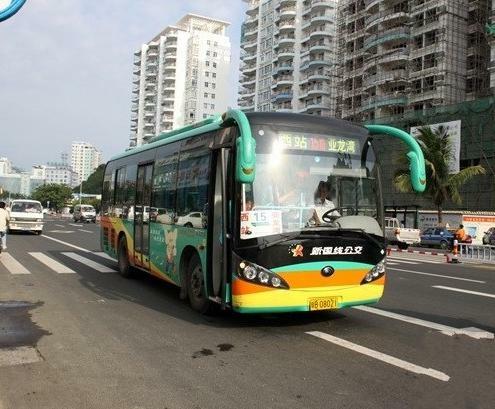 At present, Sanya has more than 600 public transports, 37 bus lines, and 271 bus stops as of February, 2012. At the same time, Sanya has opened bus lines to suburban districts such as Haitang Bay and Yacheng.